Given the calcium becomes one of the nutrients that are needed by the body for growth and development of the body. Calcium also plays an important role in maintaining a lot of the health condition of the body. Even for pregnant women, calcium is also very important to be consumed. Then from where we can get calcium to the body? Milk is one of the sources of calcium are very high. But that does not mean there is no source of food or other beverages that contain calcium. Therefore, this time we will invite you to understand what are the health benefits of calcium for your body and what kind of food you can eat to get calcium. In addition to milk, actually there are many types of foods containing high calcium. However, limited information makes the public does not know the types of foods. Whereas calcium can be obtained from various types of daily meals are easy to find. Both of the types of natural food sources or processed foods. And the following are some of the types of sources of healthy foods other than milk should you eat if you want to get calcium to meet your daily calcium needs. 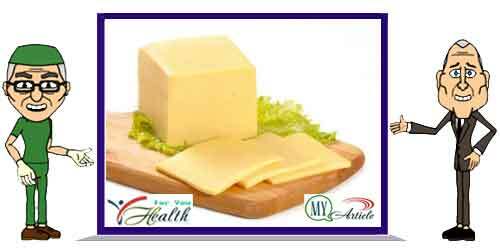 Cheese is a good source of calcium is high enough, because cheese is a processed food made from dairy ingredients. Cheese is one food that tastes unique and can be processed into a variety of other foods. Well, in addition to calcium, cheese is also known to contain several other essential ingredients such as protein, vitamins, minerals, phosphorus, fat, and cholesterol. However, although the cheese is a food source that contains high calcium and a healthy diet, you are advised not to consume excessive cheese. Because the cheese also contains fat and cholesterol which is not good when consumed in excess. In addition to cheese, yogurt also one of the foods that contain high calcium because it is also made from dairy ingredients. Just like cheese, in addition to high calcium yogurt also has many other essential ingredients that are beneficial for health. Yogurt is made from fermented milk, and general materials used in the manufacture of milk is cow's milk yogurt. Although other types of milk such as soy milk can also be fermented and made into yogurt. Well, the high calcium content and also some other nutrients in the food this one also makes yogurt one source of dietary calcium for pregnant women as well as for the elderly. Foods containing calcium next green vegetables. Where in general the vegetables has become a source of vitamins and good nutrition. Therefore if you want to meet your daily calcium intake, try to always eat green vegetables regularly. There are many types of green vegetables can you eat so that you do not saturate, such as broccoli and spinach. However, when you cultivate greens, make sure you can process them properly. Because vegetable processing wrong way will make nutrition and nutrients contained in green vegetables is damaged. Who does not know soybeans? Types of beans are much in demand in various circles. Because in addition can be made into a wide variety of processed, soy beans taste quite delicious. And who would have thought soybeans into one type of food that contains high calcium. Some foods processed soybeans including soy milk, tempeh and tofu. The amount of calcium contained in soybeans is quite high. In fact in a cup of boiled soy beans mixed with salt, it contains 261 mg of calcium. Therefore, these foods are also becoming one of the foods that contain calcium recommendations for pregnant women. Salmon into one type of fish known to contain high enough calcium. In 3 ounces of fish meat is often processed into sushi is in fact contain up to 181 mg of calcium. Therefore, no wonder if the salmon flesh become one of the foods containing high calcium. Actually, not just calcium, because salmon contains a lot of nutrients and other essential vitamins needed by the body, including for pregnant women. But specifically for pregnant mothers, try looking fish really fresh and not contaminated with harmful substances. Once you know some foods that contain calcium than milk before, from now on we suggest that you eat more types of these foods include milk. Given calcium is one of the substances important role in the body. Even if your body lacks calcium, your body will actually experience a variety of health problems. Then how the amount of calcium that must be fulfilled by a person in a day? For adults (> 25 years), the calcium that must be fulfilled in is 800 mg. As for the age over 50 years, try to always meet as much as 1,000 mg of calcium per day. Foods that contain calcium for pregnant women should contain 1,200 mg of calcium per day. For children under 5 years of age must meet the 400 mg of calcium per day, baby more than 6 months of age need 600 mg, children aged 1-10 years need 800 mg, and for adolescents aged 11-24 years need a calcium intake of 1,200 mg per day. That was the amount of calcium should be fulfilled by all people from all walks of life. And you need to know that basically besides maintaining healthy bones and teeth, eating foods that contain calcium may also help activate your nerves, blood circulation, relaxes muscles, helps normalize blood pressure in the body, maintaining body fluid balance, and can prevent various kinds of dangerous diseases such as heart disease and colon cancer. For women, foods that contain calcium are many benefits to deal with complaints of pain during menstruation or menopause while already. Besides calcium also can prevent bone shrinkage during pregnancy and during breastfeeding. So in conclusion, from now on you should eat more variety of foods that contain calcium. Given calcium (Ca) turned out to be quite an important role in the body. Without enough calcium, the body can be experienced many health problems that would be detrimental to yourself. Therefore always keep your body health by consuming calcium.